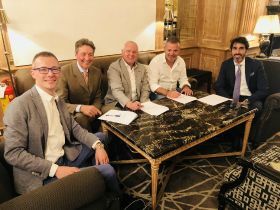 Three leading Italian apple companies have formed a new marketing alliance aimed at developing a more coordinated approach to sales in Asia, with the ultimate goal of building up a complete range of fresh fruit and vegetables for customers in the region. Bringing together South Tyrolean supplier VI.P Val Venosta, Piedmontese producer-exporter Rivoira, and procurement and commercial specialist RK Growers, the as-yet-unnamed partnership will apparently target customers in Hong Kong, Singapore, Malaysia, Indonesia, China, Vietnam, Taiwan, Thailand, Korea and Japan. According to the trio, the alliance will focus on building demand for the licensed apple variety Ambrosia in particular. Key to the project will be the establishment of an office for the new venture in Hong Kong, where RK Growers business unit Rkg Asia is already active. That will enable the partners to liaise with customers face to face, helping them to coordinate consignments more effectively. "This aggregation allows us to go further and more strongly, with a whole range of interesting products for importers and distribution chains,” commented Rivoira’s managing director Marco Rivoira. Paolo Carissimo, president of Rk Growers, said he expected "considerable developments thanks to the progressive opening of new markets”. The companies said they were planning to unveil a new name and identity for the venture at Asia Fruit Logistica, which takes place in Hong Kong on 5-7 September 2018.